Beijing Yitai Medical Device Co., Ltd.
our main products are straw hat,knit hat,scarf,glove,polar fleece hat,scarf ,glove,baseball cap,bucket hat,visor,headband,wrist band and so on. Our products are widely recognized and trusted by users and can meet continuously developing economic and social needs. We welcome new and old customers from all walks of life to contact us for future business relationships and achieving mutual success! We are alibaba gold supplier and trade assurance supplier, which can offer your 100% product quality protection and on-time shippment protection. 1. How to place online order directly9 If no logo requires, please choose the sweatband color and start order directly. If logo requires, please send inquiry with your logo file in AI or PDF format,etc, will create artwork for double check. ------------- 1) Design : Custom made is the spirit of our product lines, we are good at converting customers&rsquo; designs to physical items. 2) Techniques : Our production is in compliance with the requirements of lead contents regulated by CPSIA. 4) Others : We continually invest large sums of money to purchase auto and semi-auto machines to cope with increasing labor cost and to insure the quality of our products. ,sincere cooperation, factory direct sale,high quality,competitive price,quick delivery time and best service. We have been in the field for many years, I can give you a competitive price and higher quality. Our products export all over the world, we can assure 100% eco-friendly and no-toxic material.
) 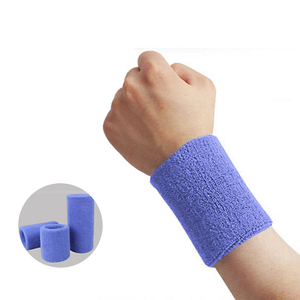 11.Application:basketball/baseball/tennis/runners and more 12.Features:absorbs sweat with very comfortable fabric Our wristbands for reference Q:1) Before order can get one sample see 9 A: Yes,ofcourse,but should pay sample cost,after order finished,refund it. Usually do the embroidery logo on the wristband Q:3) How is delivery time 9 A: 7-15days for mass production depend on quantity and custom request Q:4) How is shipping 9 A: Small quantity by air,big quantity by sea,depend on your request. Q:5) MOQ 9 A:5 00pcs for customized logo Q:6) How is packing 9 A: Each single wristband will be packed in a polybag,500 pcs bags will be in a carton Q:7) How is payment 9 A: 30% deposit before order,70% balance before delivery. We have professional designer teams who will work closely with you to develop your own designs into products. - 3. We could arrange sea freight, air freight, express door to door if customer need. In the meantime we are also glad to cooperate with custom appointed third parties to perform inspection in our factory. Your business relationship with us will be confidential to any third party. 2. Q: Can you tell us sample time and production time9 A: Sample time is about 3 days after artwork confirmed. And production is about 15 days if sample approved. We export our proucts to Europe, America, Asia, Middle East and Africa etc. We update our products constantly. We provide quality pre-sale service & after-sale service. We are main supply all neoprene products and other bag, all kind of cases with pouch, cooler holder,laptop bag,mobile phone pouch etc. 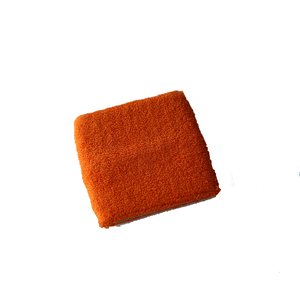 We take high quality NEOPRENE, fake neoprene, sponge foam as the main raw material. We always take very high passion and good service for our future cooperation if we can get a chance to work with you. Xiamen Daxin Gift Co., Ltd.
We have been the Wal-Mart supplier for almost SIX years, Wal-Mart ID:36130561. Trade Assurance: TOP 3 . We have more than 10years successful OEM/ODM experience for brand product. We have professional R&D team ,design team ,sale team and production workers. 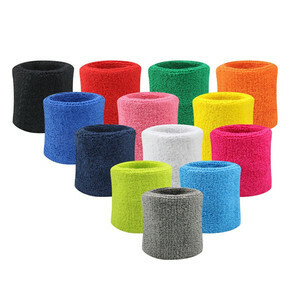 Alibaba.com offers 1,026 custom basketball sweatbands products. About 59% of these are sweatband, 21% are hairbands, and 13% are wrist support. 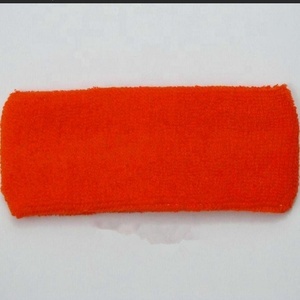 A wide variety of custom basketball sweatbands options are available to you, such as women, unisex, and kids. You can also choose from fabric, 100% acrylic. As well as from free samples, paid samples. 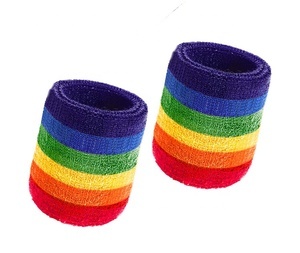 There are 1,026 custom basketball sweatbands suppliers, mainly located in Asia. 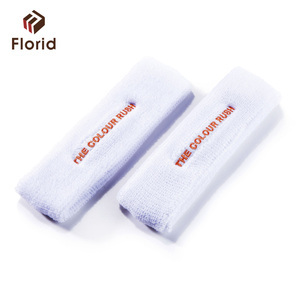 The top supplying countries are China (Mainland), Taiwan, and Hong Kong, which supply 98%, 1%, and 1% of custom basketball sweatbands respectively. 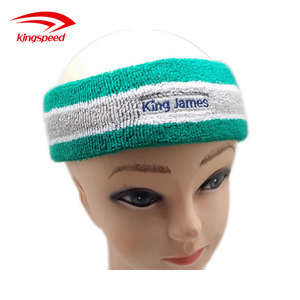 Custom basketball sweatbands products are most popular in North America, Western Europe, and Eastern Europe. You can ensure product safety by selecting from certified suppliers, including 215 with ISO9001, 144 with ISO13485, and 71 with Other certification.